We’re almost there: the long-awaited home stretch of 2017. And quite a year it's been! Already, we can’t help imagining what developments next year might bring to the wild world of U.S. real estate. So we asked our realtor.com® data team to give us the inside scoop. The team sifted through historical real-estate data and other major economic indicators to come up with a realistic forecast of just what might be in store next year. 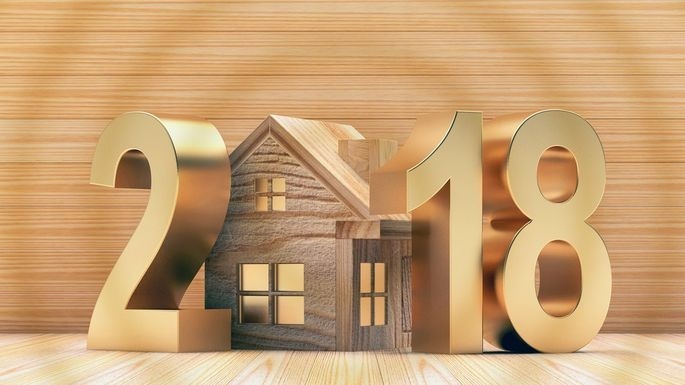 From housing inventory to price appreciation to generational and regional shifts, these are the top trends that will shape, and reshape, real estate markets in 2018. Buckle up! It's going to be quite a ride. That’s a potentially transformative development for many would-be buyers who've been frustrated in their search for a home that meets their needs—and their budget. Although for-sale housing inventory is expected to stay tight in the first quarter of the year, reaching a 4% year-over-year decline in March, if it increases as predicted by fall, that will be the first net inventory gain since 2015. Markets such as Boston, Detroit, and Nashville—all of which recently made it onto our monthly list of the nation's hottest real estate markets—may see inventory recover first. And as the largest generation in U.S. history reaches that sweet spot in their 20s to 30s when they're settling down and starting families, they're particularly motivated to buy. Millennials could make up 43% of home buyers taking out a mortgage by the end of 2018, up from an estimated 40% in 2017, based on mortgage originations. That 3% uptick could translate into hundreds of thousands of additional new homes. As inventory starts to rebound in late 2018 and in years to come, first-time home buyers will likely make up an even larger share of the market. They probably shouldn't wait too long to buy, either—mortgage rates are expected to reach 5% by the end of 2018 due to stronger economic growth, inflationary pressure, and monetary policy normalization.